Insect bites are common and usually only cause minor irritation. Some bites, however, can be painful and can lead to serious allergic reactions such as crops of small papules and weals, which may become seriously infected as a result of excessive rubbing and excoriation. This article mainly describes several common insect bites and explains why pest control is highly recommended for insect problems. • a bump (blister) around the bite mark. 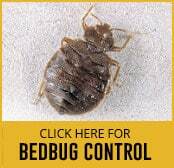 Bedbugs are small, flat, oval-shaped, wingless insects that have reddish-brown colour and feed on blood from humans or animals. They sneak in the cracks and crevices of beds, bed frames and other objects around a bed to bite their victims at night. Bed bug bites are commonly found on uncovered areas including the face, neck, arms, and hands but may occur anywhere on the body. Their biting, believed not to spread disease, typically causes a large, reddened and itchy weal. Sensitive individuals may develop allergic reactions to their bites, resulting in engorged bite marks, painful swelling and burning at the bite area. 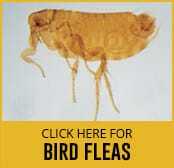 There are many species but it is primarily cat and dog fleas that cause most problems in the UK. They are tiny, dark-brown, wingless bugs that breed rapidly, especially if there are pets in the house. Flea bites, usually in groups of three or four, can be spotted on the ankles, armpits, around the waist or in the folds of elbows and knees. Despite their low risk of transmitting diseases, their bites are itchy and sometimes painful. They may form a red skin rash or swelling around the bite area. When being pressed on, the rash turns white and may spread over time. Bird mites are highly mobile, small, oval-shaped insects that have eight legs and short hairs on their bodies whose colour is semi-transparent and becomes reddish to blackish after they feed on blood. They are naturally found where birds and their nests are located. To look for blood, they may enter living spaces in houses, walls, ceilings and bedding. Their bites do not transmit infectious diseases but may cause severe irritation such as itching, swelling and reddish spots on the skin. 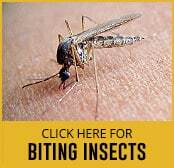 Why is pest control important for biting insects? Various types of insects can live on pets, furniture, etc., causing recurring bites that may affect public health and economic issues. Due to their small size and rapid reproduction, eradicating them is difficult, and their infestation may be lengthened if there is no professional treatment. 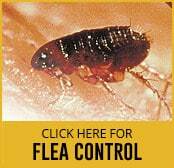 Fleas, for instance, can only be eliminated with a pesticide treatment. Unless you have limitless time and patience, it is necessary to hire pest control professionals who know exactly where to find these insects and how to get rid of them effectively.